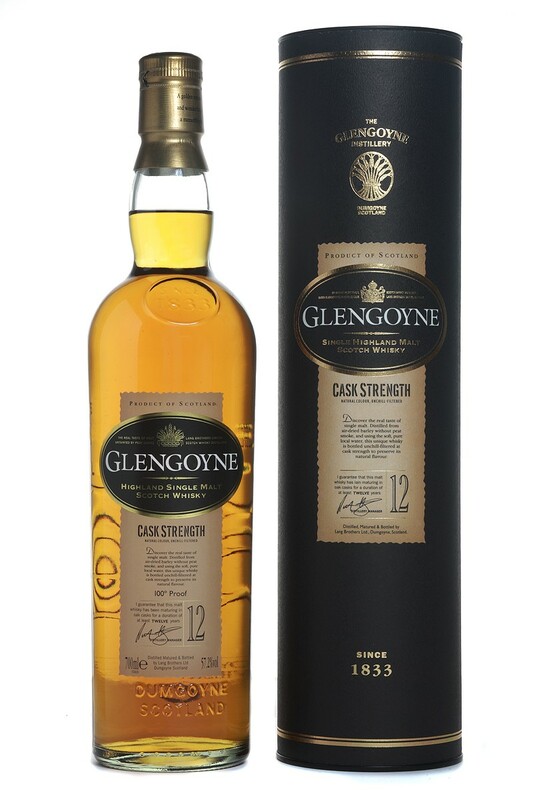 Glengoyne 12yo Cask Strength (57.2%): This year I tasted quite a few unbelievably good and rare single cask Glengoyne expressions during my trips to Oslo as well as regular distillery releases with Stuart Hendry, brand heritage manager for Glengoyne in Whisky Fest New York 2011 and started to look for more. So, when I saw this travel retail exclusive expression at Charle de Gaulle Airport in Paris I didn't think twice. Color: Dark copper, shines like a fine cognac. Nose: Molasses, spoiled grapes, dried apricots and dried figs. Very much like an aged Caribbean rum. Sweet chocolate covered raisins, sour cherry juice and butter tea biscuits. Water brings some appealing beautiful malty and sherry notes and also maybe hint of black tea. Gets better and better with time. Palate: All the heat of high abv I surprisingly didn't get from the nose hits quite powerful like a very strong rum. Couldn't get anything, it needs water. A few drops of water calms it down nicely. Strong sweet rum leaves the scene to heavy thick sherry. All the notes you can expect from European oak casks got pulled forward. Toffee, burnt apple skillet pie hits the tongue first. It gets better with cognac, damp soil and chewing tobacco notes. Definitely has an older feeling, like a beautifully aged grain whisky. Finish: Long, warm and spicy. I still can feel the nice warmth after minutes I swallowed. Sweet pepper, cinnamon, star anise, all spice and dark chocolate. Overall: This bottle happened to be a little over-sherried and too sweet for me especially after tasting some amazing ex-bourbon casks of the distillery lately and witnessing how delicate, malty and floral their whisky can be. This expression requires some attention and time. You have to be patient to find the correct amount of water to add to make it work. On the other hand I have to admit that it has a big warming feeling which will suit pretty good to the coming holiday season. I also can see myself filling my flask with it before a long hike on a cold winter day. On top of everything it is a steal for a liter bottle at cask strength with a price tag of $45.